Collecting: New York World’s Fair Comics #1-2 and Adventure Comics #40-59. Now this one was fun, despite the bad rap it has been given. I wouldn’t recommend it to folks trying to get into vintage comics, and I can’t say any of the stories knocked my socks off, but I had no problem reading multiple stories from it consecutively. If you can get it for a decent price and are honestly curious, don’t pass up. 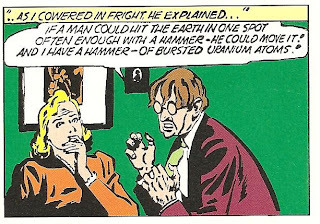 There are a lot of Golden Age comics which are more interesting for their significance as a cultural artifact than their entertainment value, but rare indeed is the series that is entertaining precisely because it’s a cultural artifact. The Sandman is one of the latter. 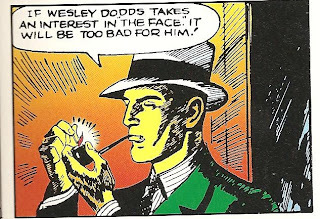 No other comic book series from the era demonstrates more thoroughly that comic books were basically the result of a union between pulp magazines and newspaper comic strips. I mean, the premise isn’t exactly high-concept stuff compared to Superman and Batman: A guy fights crime by spraying criminals with sleeping gas. How exciting. Now, the concept is not without appeal: What better way to take your adversaries out than not having to get physical with them? 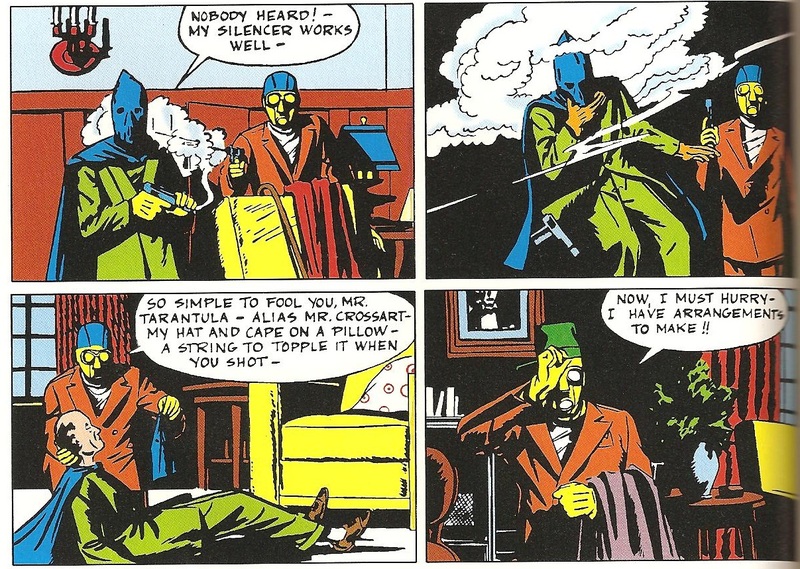 Plus, the whole “sleep gas” gimmick worked well for the then very popular Green Hornet, but Green Hornet had a colorful costume, an insignia, a cool car, a cool family lineage and a sidekick. Sandman does drive around in a car A LOT in these stories, but still, he just seems mundane compared to the Hornet and to the more colorful superheroes then seeing print. But that drabness is part of the appeal. 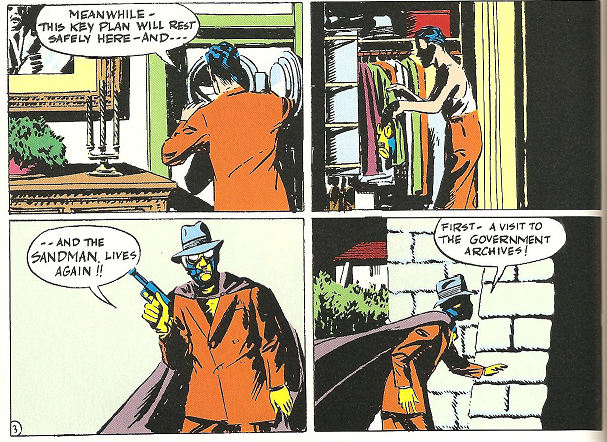 I mean, just as how the Sandman’s very concept is simple, his costume is perfectly simple too; A cape, fedora, gas ask and business suit. It’s an elegant, simple, and totally badass look. 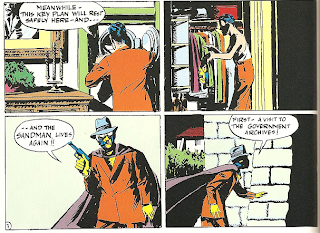 Ditch the cape, and the gas mask is really the only thing which qualifies him as a costumed hero (And he does indeed go about without the cape, frequently), just like how many pulp heroes like Doc Savage were simply “superheroes in normal clothes”. Gas masks just have this way of looking so creepy/cool at the same time that it automatically makes anyone wearing one look otherworldly and inhuman, even though gas masks are a perfectly ordinary, real world device. Check out the 1981 slasher flick My Bloody Valentine to see how effectively eerie a visual a gas mask can be. 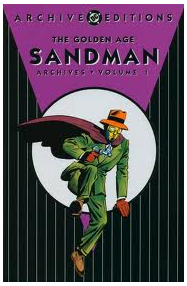 The Sandman is a hero who could have worked perfectly in the pulps or on film without anything having to be toned down. Hell, if I didn’t know better, I’d think that The Sandman had made his debut in the pulps and then been adapted for comics. 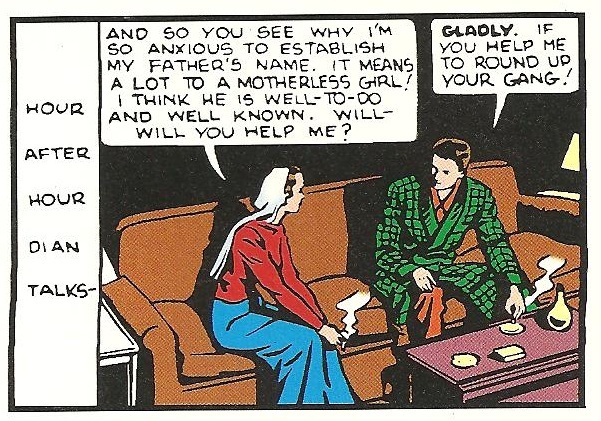 I guess it’s the pulpy, down-to-earth premise here that makes the strip feel a little more, well, adult in tone. 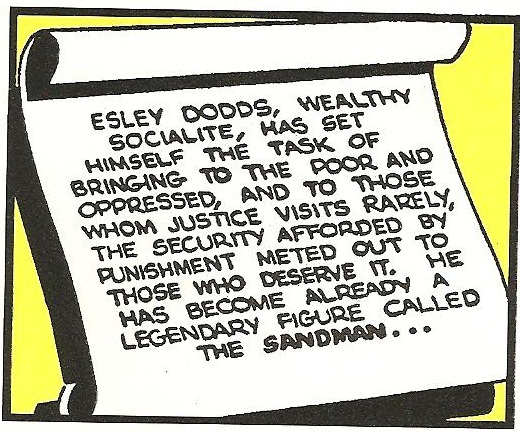 Yet, the Sandman is also a very much a product of newspaper strips. 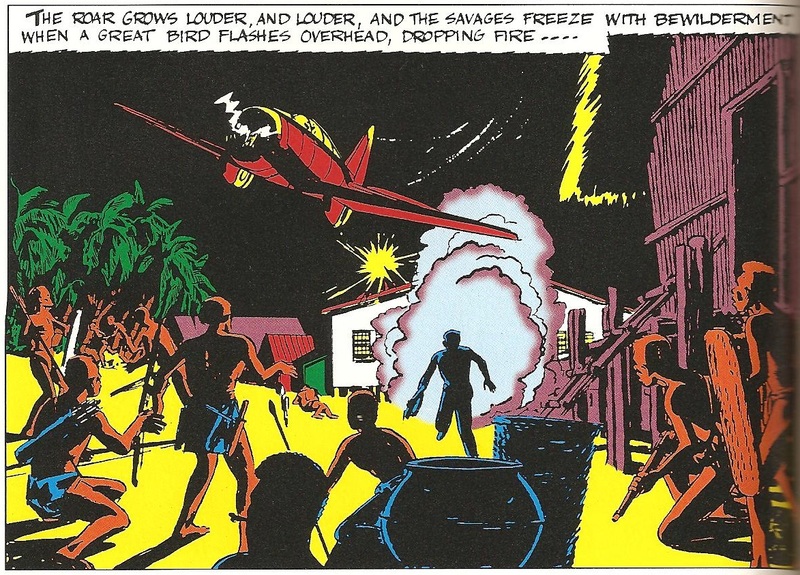 Artist/co-creator Bert Christman was a one-time newspaper strip artist (On the aviation strip Scorchy Smith), and it shows. While he doesn’t experiment with panel layouts or anything, he knows how to tell a story quickly while relaying all information in just a few panels, with plenty of “quiet” moments; all trademarks of someone used to doing a few panels for a daily strip. Cut these stories up, and they could run as a newspaper strip. 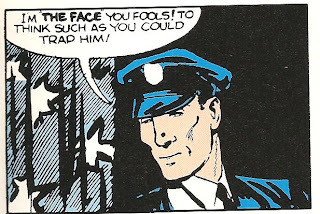 Christman also shows the influence of newspaper strips in the plots. Stories can involve adventures on South Sea Islands, or even involve aviation. All have the feel of the various newspaper strips of the day; a Milt Caniff influence is particularly strong. 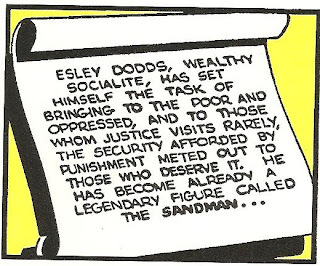 The only problem with these stories is that they kind of forget that they are supposed to be about a crime fighter called The Sandman, and he comes off almost as a peripheral character in some of them. 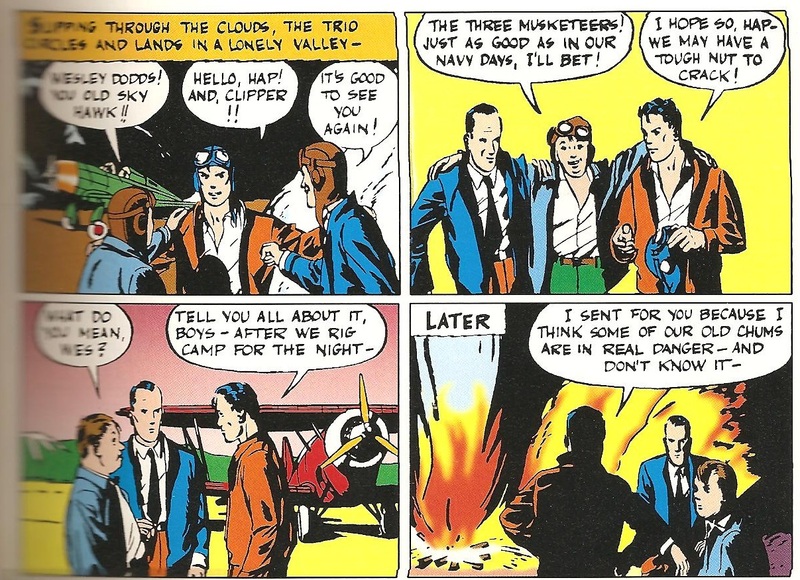 Others introduce potentially interesting concepts that go nowhere in future stories, the aviation story in particular is a good example; apparently Wesley Dodds (The Sandman) occasionally calls up some old friends of his from WWI to help him in aviation-oriented missions as “The Three Sandmen”. 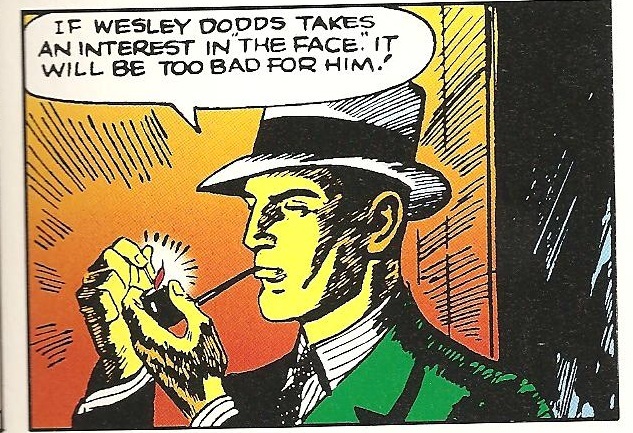 We never see these men again in the strip, nor is Dodds’s WWI stint brought up again (Although Wesley Dodds sure does seem to have a lot of “old friends” who turn up in these stories!). Whether this was a result of the creators not being able to figure out an identity for the series or just them experimenting is a bit unclear. 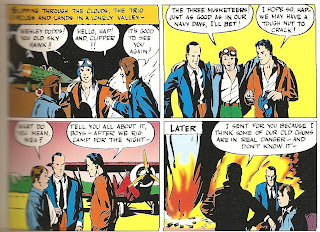 Sadly, we’ll never know what directions that the strip may have gone in (Or even if Christman would have stuck with it, being an established newspaper strip artist), because Christman abruptly left comics to join the air-force (Apparently the aviation/“Three Sandmen” story was somewhat autobiographical), where he joined the Flying Tigers and died in action. A truly tragic loss. Most of the remaining stories in the volume are drawn by Creig Flessel, who does quite a good job at first keeping up the atmosphere established by Christman, however, a lot of his work is rushed, and too much reliance on negative space sometimes gives things an empty look. His art here ranges from being some of the most sophisticated of the era to some of the blandest, sometimes on the same page! His inking however, is consistently gorgeous. Speaking of villains, two of the Sandman’s foes in this volume; The Tarantula and the Face, would both have their stories retold (If in name and gimmick only) during Matt Wagner’s Sandman Mystery Theatre series during the 90s. The original version of the Tarantula would also pop up in All Star Squadron as a gag villain. 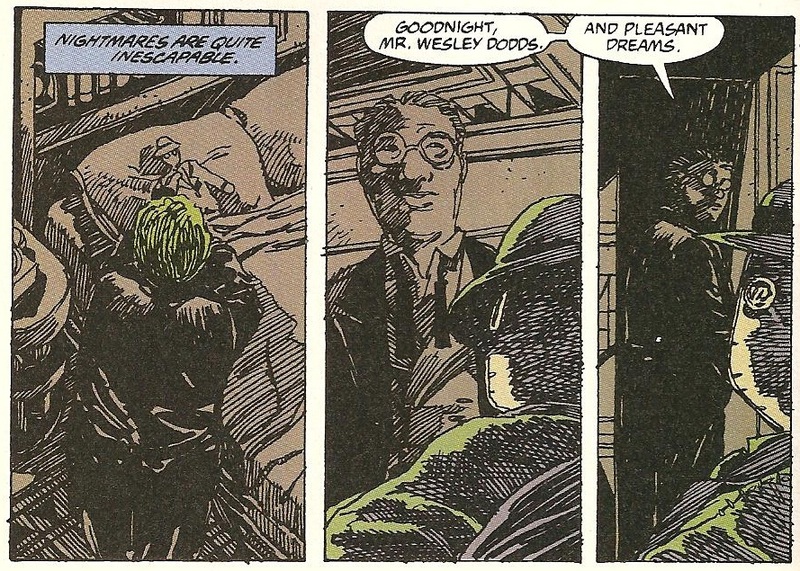 One of the most outstanding features of The Sandman, however, was how it handled Wesley Dodds’s love interest; Dian Belmont. 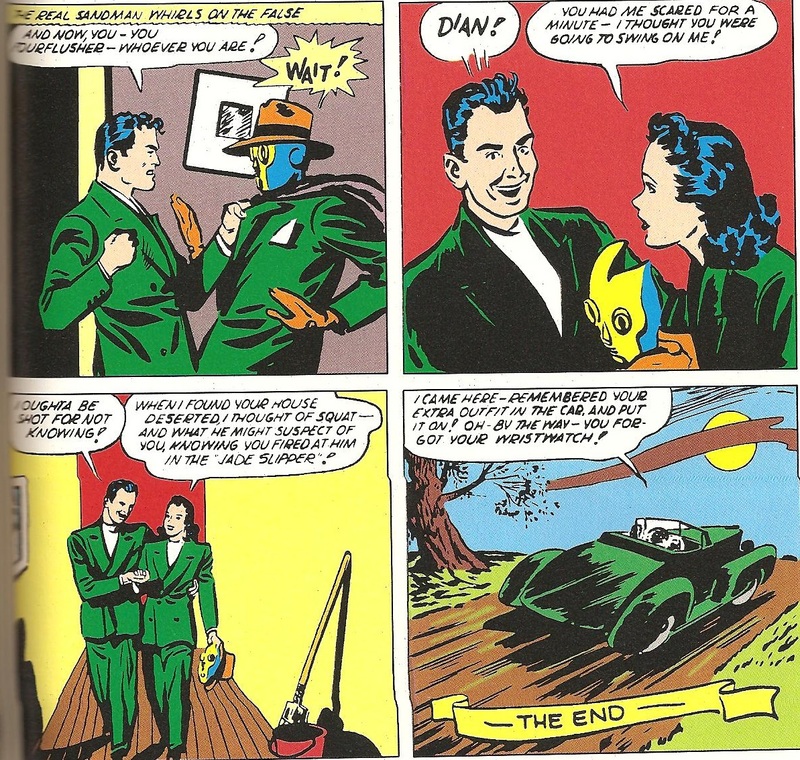 Dian was more than just a love interest; she was also Sandman’s sidekick and partner. 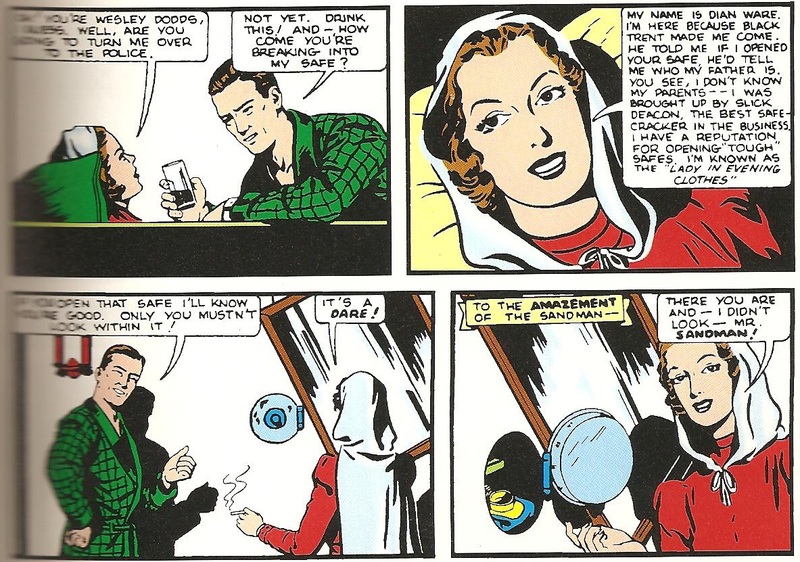 She got her start as a fairly typical Villainess with a Heart of Gold (“The Lady in Evening Clothes”), reforming at the end when she found out her father’s identity. 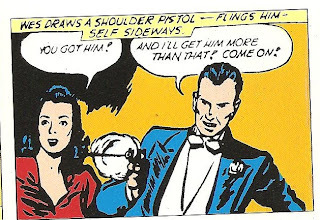 Dian could have been made into a typical recurring femme fatale who was always stabbing the hero in the back, but no, she saw an opportunity to reform and jumped at it. 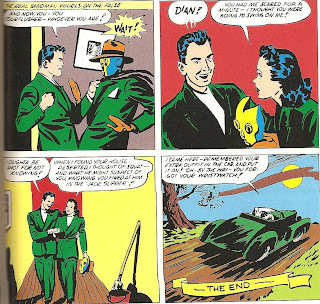 She may have owed something to The Spider’s Nita Van Sloan, but heroines like Dian were a rare, rare thing in comics of the time. 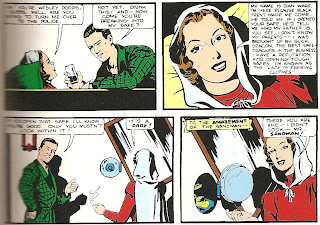 Matt Wagner got a lot of mileage out of Dian in Sandman Mystery Theatre, practically making her the protagonist at times. Too bad he never worked her criminal past in though, having her be the DA’s daughter from the beginning. 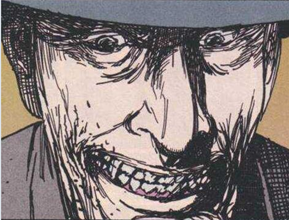 These Sandman stories aren’t perfect of course. There are some truly hilarious continuity problems. 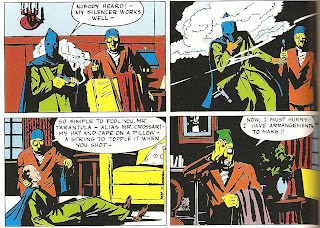 In some stories, Sandman would be wanted by the police and treated as a villain (Like the Green Hornet, he often encouraged this as a cover), in others he would be seen as a well-intentioned man who was still breaking the law and needed to be brought in, and in others he would be welcomed by the police with open arms as if he was always a trusted consultant. Sometimes his relationship with the law would change right in the middle of a story! 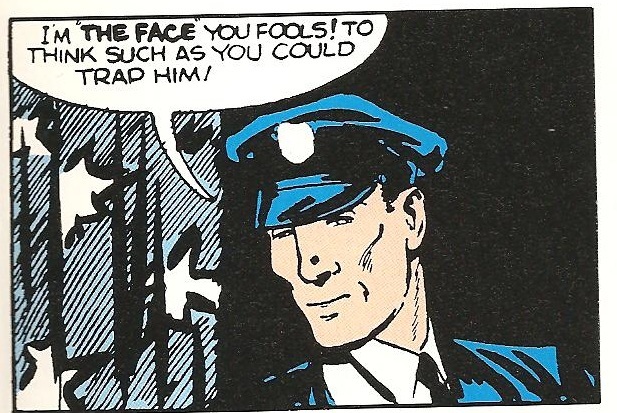 For instance, one story has Sandman called in by the police, then right in the middle of the story’s action, a formerly friendly police officer tells men to open fire on the Sandman for no reason! 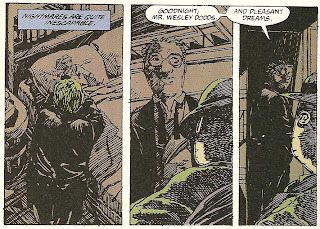 Whether or not the DA (Dian’s father) knew the Sandman’s identity also varied from story to story. This can become very annoying when read sequentially. Some of the better stories also suffer from disappointingly rushed endings after intriguing build-ups, though that’s to be expected from a series where the hero can solve everything by spraying gas and knocking everyone out instantly. Also, good God, what was the letterer drinking? They had Engrish even then. The lack of comedy relief characters and the kind of casual racism (Apart from some superstitious natives and a few criminals) and sexism (Averted wonderfully with Dian) that marred other series of the time isn’t much in evidence here either. Maybe these stories aren’t worth paying full price for, but if you can get this book for cheap at some used bookstore and you have an appreciation for comics as curiosities, The Sandman should satisfy. 3.3/5.